To the common man, uncertainty is being in doubt or the state of being unsure about something. In scientific parlance, it is the unpredictable difference between the observed data and the model output. Sources of uncertainty may be many including material, manufacturing, environment, experiments, human factors, assumptions and lack of knowledge. Any one of these or a combination may lead to a significant loss of performance, that is, a large variation in output due to a small variation in the input parameters. The human being craves for certainty because the first priority for every individual on this planet is survival and the process of living contains many risks. 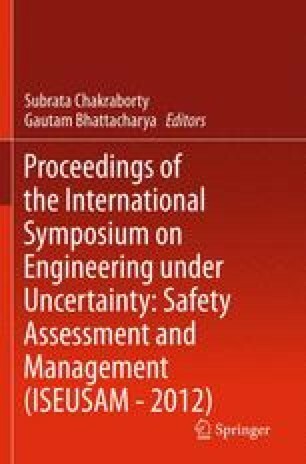 This chapter deals with the various uncertainties that confronted a team of engineers during the course of rebuilding and upgrading an existing major equipment in an integrated steel plant. There were multiple challenges and uncertainties involved in every step of the rebuilding process.